The acquisition will enable Murata Electronics North America to leverage RFM’s low-power technology, as well as its expertise in design and development of production-ready RF modules, SAW-based and RFIC short-range radios, and stand-alone radio systems. 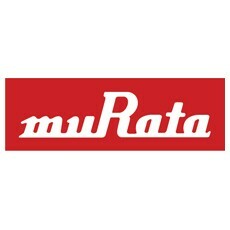 Murata Electronics North America Inc. and its parent company Murata Manufacturing Co. Ltd., the world’s number one supplier of passive electronic components, announced that it has closed the deal to acquire RF Monolithics Inc. (RFM). The cash transaction paid the holders of RFM common shares $1.78 per share. RFM, headquartered in Dallas, TX, will continue to market its broad range of solutions-driven, technology-enabled wireless connectivity for wireless applications, from individual standardized and custom components to modules for comprehensive industrial wireless sensor networks and machine-to-machine (M2M) technology, under the RFM brand, as a wholly owned subsidiary of Murata Electronics North America Inc.
“We are happy for a timely deal close and excited to move forward to leverage RFM’s unique low-power technology, as well as their expertise in design and development of production-ready RF modules, SAW-based and RFIC short-range radios, and stand-alone radio systems. “We are excited to become part of such a quality organization as Murata. We look forward to this new chapter for RFM as a subsidiary of Murata Electronics North America Inc. With the combined resources of Murata, RFM will be able to take advantage of our market channels globally and in the development of innovative wireless solutions, particularly for the healthcare, energy, and industrial markets,” said Farlin A. Halsey, President and CEO of RFM. RF Monolithics Inc., located in Dallas, TX, is a wholly owned subsidiary of Murata Electronics North America Inc. RFM is a provider of solutions-driven, technology-enabled wireless connectivity for a broad range of wireless applications, from individual standard and custom components to modules for comprehensive industrial wireless sensor networks and M2M technology. Murata Americas regional headquarters is Murata Electronics North America Inc., a wholly owned subsidiary of Murata Manufacturing Co. Ltd., whose global headquarters are in Kyoto, Japan. Established in 1944, Murata Manufacturing is a worldwide leader in research, design, manufacture, and sale of ceramic-based passive electronic components, power supply, and wireless module solutions. With annual revenues in excess of $7 billion, Murata is committed to the environmentally conscious development and stable supply of advanced electronic materials, leading-edge electronic components, and multi-functional, high-density modules. Products include monolithic ceramic capacitors, polymer aluminum electrolytic capacitors, electric double layer energy device, noise suppression products/EMI suppression filters, inductors, resistor products, resonators, filters, RF components, communication and wireless module solutions, sensors, thermistors, DC-DC converters, AC-DC power supplies, sound components, piezo actuators, micromechatronics products, ceramic applied products, and RFID solutions. Murata’s products are found in a wide range of applications, including consumer, mobile communications, computers and networking equipment, automotive electronics, advanced metering equipment, digital home electronics, lighting and illumination, and healthcare devices. Murata has employees and manufacturing facilities throughout the world.